Neymar Jr and Rafinha will be coming back to Barcelona with Olympic medals, although the colour depends on what happens in Sunday’s final against Germany or Nigeria. Brazil made into the gold medal match with an emphatic 6-0 victory over Honduras at the Maracaná, with captain Neymar scoring twice as his country continues its bid to break its Olympic duck by winning the competition on home soil. The FCB striker took just 15 seconds to put his team ahead with the fastest goal in Olympic history, making the most of an error by defender Jhonny Palacios and bundling the ball over the line. Gabriel Jesús then added two more to make it 3-0 at the break. 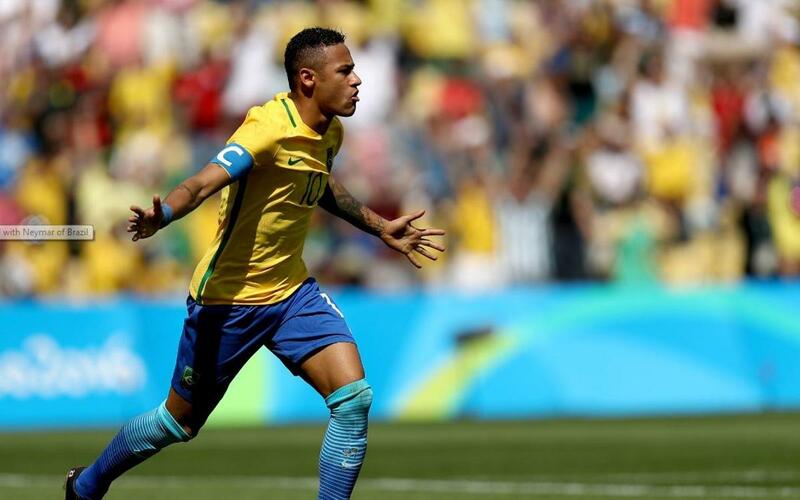 Marquinhos and Luan extended that lead before Neymar finished off the rout with an injury time penalty. His Barça team-mate Rafinha was on for the last quarter of hour as a substitute for Renato Augusto.